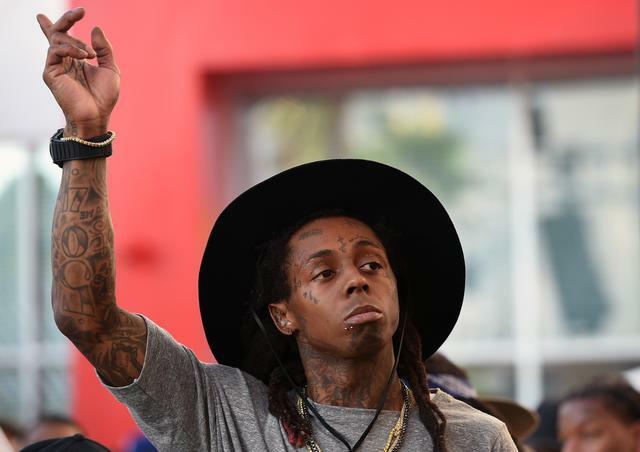 Home>Lists> 5 Beats Lil Wayne Needs On "No Ceilings 2"
It's Weezy season, y'all. Late last night, Wayne announced that his fans shall have to much to be grateful about on this coming Thanksgiving, as he plans to serve up No Ceilings 2, the sequel to his beloved mixtape from 2009, on a platinum platter. The sequel will have a lot to live up to, as the original contained classic freestyle'd remixes of "D.O.A.," "Wasted," and even The Black Eyed Pea's "I Gotta Feeling." A short clip of the 33-year-old Hollygrove spitter rapping over Drake's "Back to Back" surfaced last week, and a few days ago, Wayne was seen rapping over Future and Drake's "Where Ya At" at a club in Miami. The DJ in said club revealed that the remix was a preview of a full project, No Ceilings 2, so, now that Weezy has confirmed the tape, we'll assume that the two aforementioned tracks will appear on the mixtape. Regardless, there are so many hot beats out there that fans would love to see Weezy try his raspy chops at. Most of the tape has gotta be bangers, but there should be enough variety for Wayne to muse on different subjects and showcase all different types of flows. 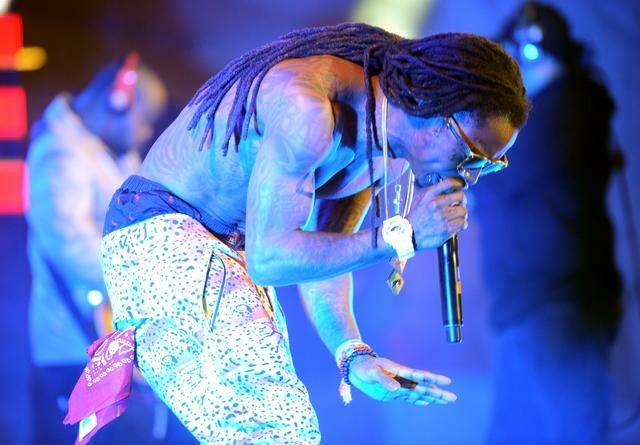 Here is a list of 5 beats we think Wayne would be wise to include on No Ceilings 2. Tell us what you think of our selections and include your own picks in the comments. Most every Wayne remix tape includes a freestyle over a local Atlanta smash. 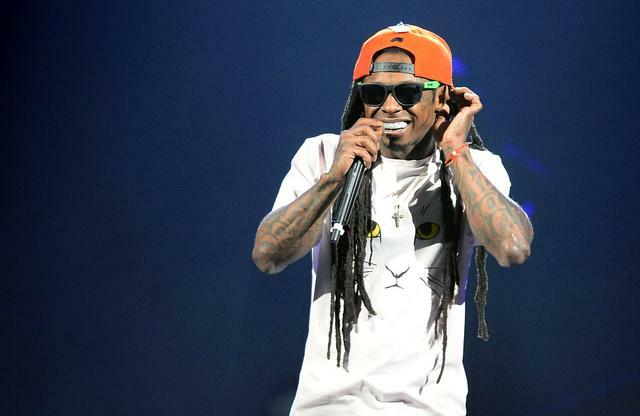 On No Ceilings, that was "Swag Surfin," produced by KE on the Track, and Wayne's version ended up outshining the original from the short-lived trio F.L.Y. (aka Fast Life Yungstaz). Now, Bankroll Fresh is already much bigger than F.L.Y. was in '09, but a Weezy remix of "Walked In" would be the same sort of gift dedicated to the Atlanta streets that have supported him throughout his career. Bankroll fancies himself a new age Hot Boy, and Wayne, of course, is one of his biggest heroes. In fact, Bankroll already got 3 out of 4 Hot Boys to remix the track he named after the Cash Money group. Bankroll's biggest track, Walked In," is no doubt Magnolia-inspired -- and Mr 2-17, with a few basic tools in his arsenal, is creating a movement reminiscent of the wave Mannie Fresh started with the N.O. foursome circa '97. You know Wayne could destroy this cheekily simple piano melody. Most of ATL's new guard loves Weezy, and with a remix of "Walked In," he could remind them why. The Game and Wayne are blood-homies for life. Wayne recently had a standout feature on The Documentary 2.5., and before that, Game was beefing with Young Thug on Wayne's behalf. Most of the Game's Doc. 2 & 2.5 were too personal, and too Cali, to warrant a remix from Weezy. The one exception, though, was "El Chapo," which ended up being a bonus cut on 2.5. The production, the triumphant horns sounding like a matador's entrance music, has Weezy written all over it. We already know what he can do with a Bangladesh beat, and the perfectly timed bass injections from Skrillex would help bring out his innermost fire. He'd also contrive enough witty metaphors to pay a proper tribute to the legendary drug lord the song is named for. Though it's one of the slowest beats on Rodeo, "Antidote" has proven to be the biggest banger off Travi$ Scott's debut album. The minimal soundscape, kept alive by huge washes of bass that linger underneath, would be perfect for Weezy to slow down a little bit, gaze into the viscous abyss that lies in his styrofoam cup, and get existential about his status as a martian. The haunting beat comes from the incredible teenage duo of WondaGurl and Eestbound outta Brampton, Ontario. WondaGurl also produced the Drake and Weezy collab "Used To," which landed on both SFTW2 and IYRTITL. Alright, here's the most unlikely remix of the bunch -- but also the most fun to imagine. The current status of Wayne and Thugger's relationship is unclear. Wayne is still, and presumably always will be, Thug's idol. Last we heard, Weezy seemingly accepted Thug's Barter 6 as a tribute, instead of a stunt for attention, and even said, "I love him." His kind words, however, came before Thug was named in an indictment that accused him, and Birdman, of participating in plotting Lil Wayne's tour bus shooting this past April in Atlanta. PeeWee Roscoe, who was a part of Bankroll Mafia with Thug (and T.I. ), is currently incarcerated as the primary suspect. Moving on -- a Wayne remix of a Thugger track would be a ballsy move that would shock the world. Not only would Thugger probably appreciate it -- it would also signal that Wayne isn't intimidated by all the controversy surrounding his relationship with the slime who supposedly replaced him as Birdman's favorite son. If there is any beef, than what better way to best one's rival by outperforming him on his own track. "Halftime" is just the kind of banger that can be turnt way up with a quick lighter flick. It's the Barter 6 track that best suits Weezy's flow -- the hook sounds like something he himself concocted -- and a remix on No Ceilings 2 would surely turn heads. The "Halftime" beat comes from Kip Hilson, who happens to be the brother of Keri Hilson. This is the one the people need. Wayne practically owns the word "drought," though Future, and the crackdown on the pharmaceutical giant known as Actavis (which apparently didn't affect Future), has brought it back this year. Due to the track's title, its codeine-inspired content, and because we've actually been experiencing a drought in terms of a classic Weezy mixtape, he needs to remix the DS2 opening track and remind young Metro that he'll always be the GOAT rapper with a double cup in hand. Heck, he should use his remix to announce Da Drought 4! 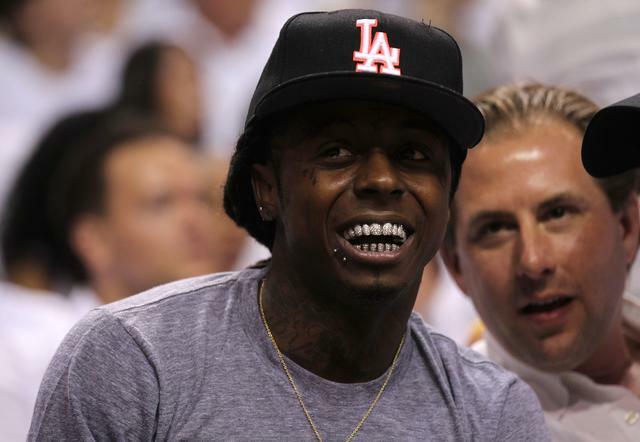 LISTS 5 Beats Lil Wayne Needs On "No Ceilings 2"